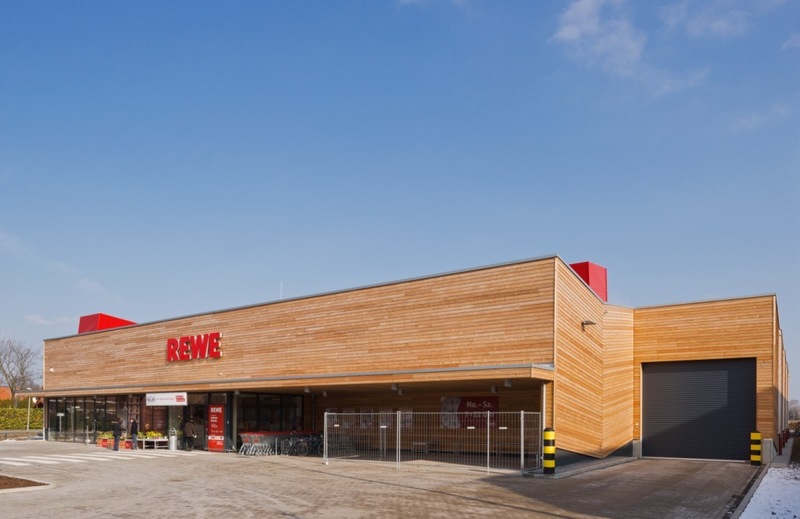 On December 6th, Germany’s first PHI-certified supermarket complying with the energy-saving Passivhaus standard was opened in Hannover. The store is located in a zero-emission residential area “zero:e park. 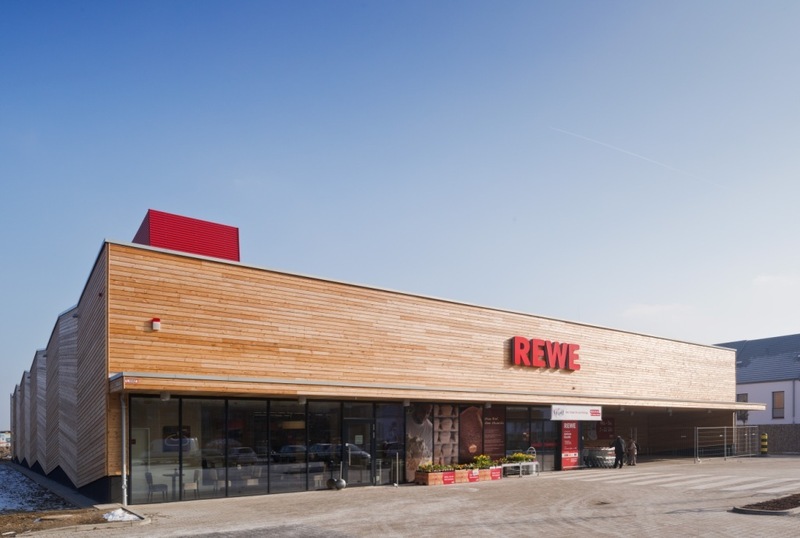 The supemarket was constructed by “meravis Wohnungsbau- und Immobilien GmbH” for REWE and has a sales area of 1,300 square metres; its low energy demand reduces emissions of climate-damaging carbon dioxide compared by 30 percent compared with a conventional new consumer market of the same size. 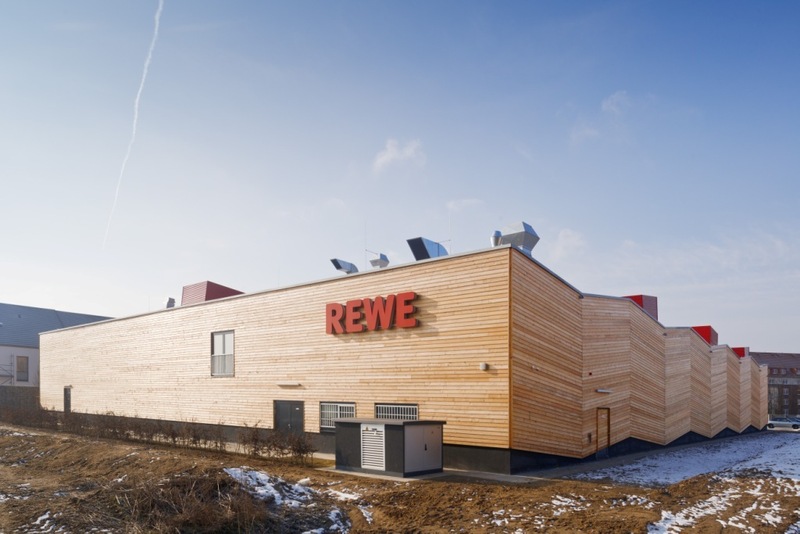 The efficiency requirements for the individual components were developed by the Passiv House Institute and proKlima in collaboration with REWE, Chalmers University of Technology, Sweden, and the Swiss Federal Institute of Technology Zurich (ETH Zurich). In contrast to residential buildings, the quality of the building envelope is less important. 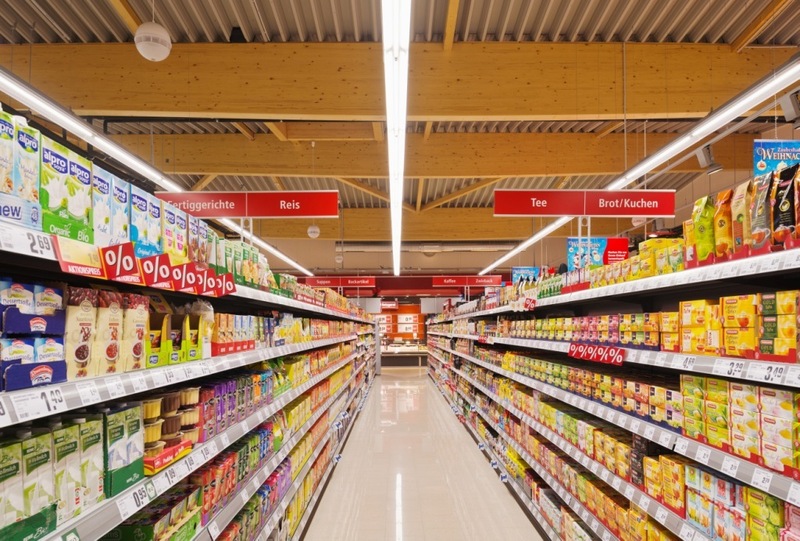 The energy demand of supermarkets is mostly influenced by cooling of food and lighting: cooling accounts for 60%, lighting for 20% of total energy demand. There is no conventional heating system for space heating and cooling is achieved by means of a central compound refrigeration system instead of a large number of vapor-compression refrigerators. 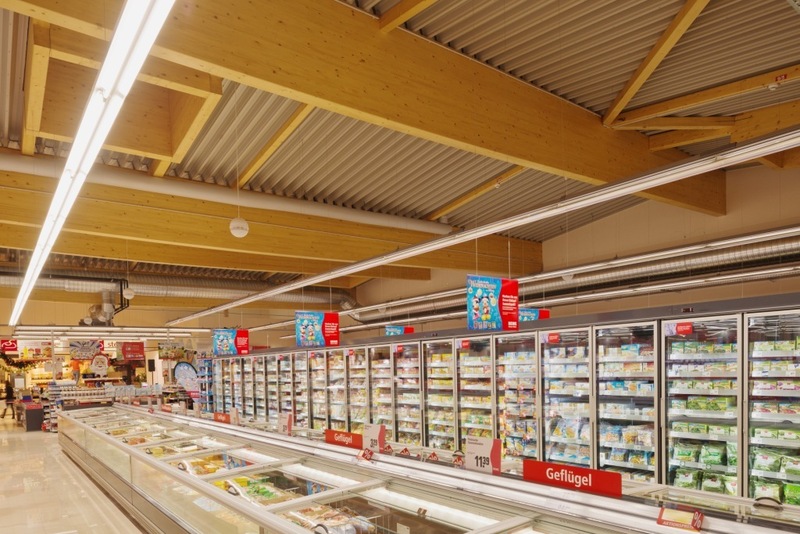 This means that during summer heat can effectively be channeled away from the selling floor to the ambient environment, whilst during winter the heat demand for space heating is mainly covered by waste heat from the cooling system. On very cold days when waste heat is not sufficient for space heating, an additional air source heat pump is available. 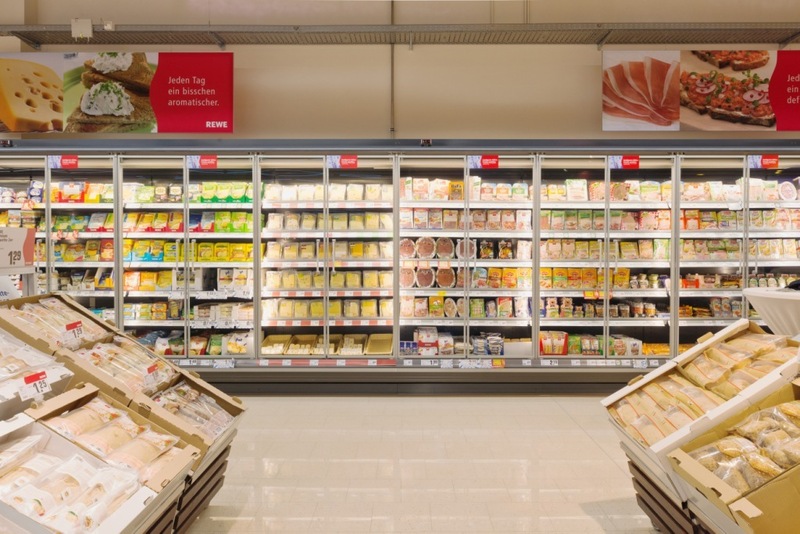 Market-leading (Top-Runner approach) refrigeration units were installed, some of them with customized solutions not previously realized. 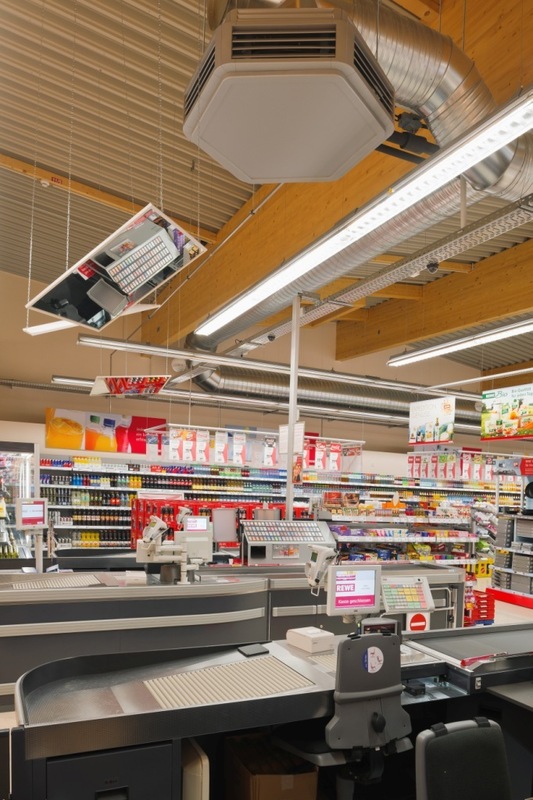 The low-current lighting system has an installed power of 12 Watt per square meter: this is an extremely low value for a consumer market and still the performance of the illumination is outstanding. Beside the PHI-certificate the supermarket was also awarded a certificate by the German Sustainable Building Council. The certificate is a nationwide distinction that was launched in collaboration with the German Federal Ministry of Transport, Building and Urban Development. heat recovery from cold-production (refrigeration system) to heat the market; backup-system: air-water-heatpump for heating and cooling. The project ist followed by a monitoring program by Passive House Institute.